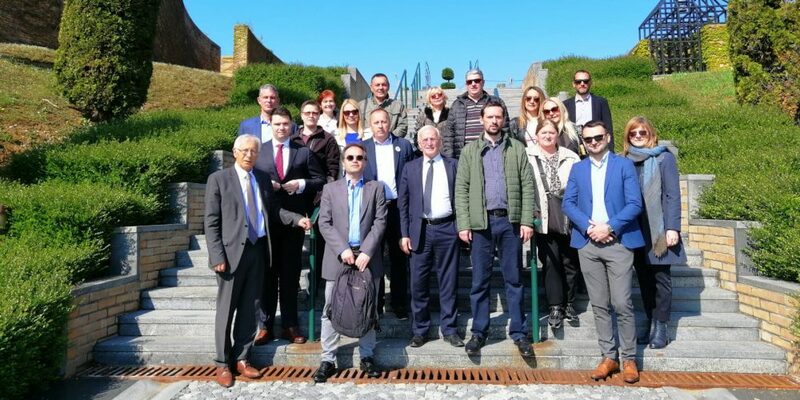 Zagreb 18 April 2019: The International Commission on Missing Persons (ICMP) has convened the second meeting of the Missing Persons Group (MPG). The group consists of senior representatives of the institutions responsible for missing persons issues in Bosnia and Herzegovina, Croatia, Kosovo, Montenegro and Serbia and has a role in supervising operations under the Framework Plan signed in November 2018 in The Hague. 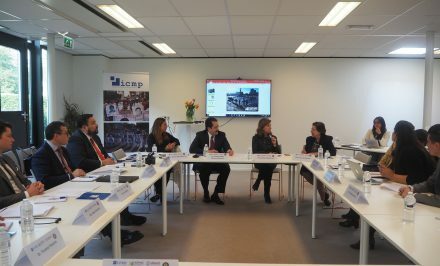 The Hague, 15 April 2019: ICMP is working with partners from the state of Nuevo Leon in northern Mexico to develop an effective missing persons process that could in future serve as a model for other Mexican states. Under a project launched in December last year and supported by USAID, ICMP is working with Citizens in Support of Human Rights (CADHAC), an NGO in Nuevo Leon, to support a process that brings domestic authorities together with families of the missing in a way that builds trust, facilitates information sharing, and sustains an effective effort to account for the missing. 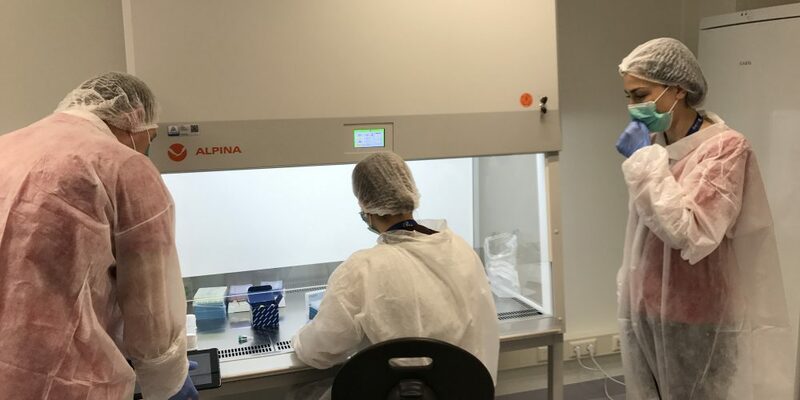 ICMP is assisting the Prosecutor’s Office with database technology and Science & Technology expertise. Baghdad, 12 April 2019: The International Commission on Missing Persons (ICMP) is providing technical expertise and resources to support the Iraqi National Team at the mass grave excavation that resumed today in Kocho village near the town of Sinjar in Nineveh Province, northern Iraq. ICMP forensic experts are working alongside personnel from the Mass Graves Department of the Iraqi Martyrs’ Foundation, the Medico-Legal Directorate of the Ministry of Health, the Kurdistan Region’s Ministry of Martyrs and Anfal Affairs and the United Nations Investigative Team to promote accountability for crimes committed by Da’esh. This effort is being coordinated by the General Secretariat of the Council of Ministers. This activity was supported by the European Union Foreign Policy Instrument, the US Department of State and Canada. Sarajevo, 2 April 2019: The International Commission on Missing Persons (ICMP) and the Embassy of Sweden in Sarajevo have signed an agreement under which Sweden will provide an additional 100.000 Euros to support ICMP’s program in Bosnia and Herzegovina. Including this additional funding, since 2002 Sweden has provided 23.000.000 SEK to support ICMP’s work in Bosnia and Herzegovina. 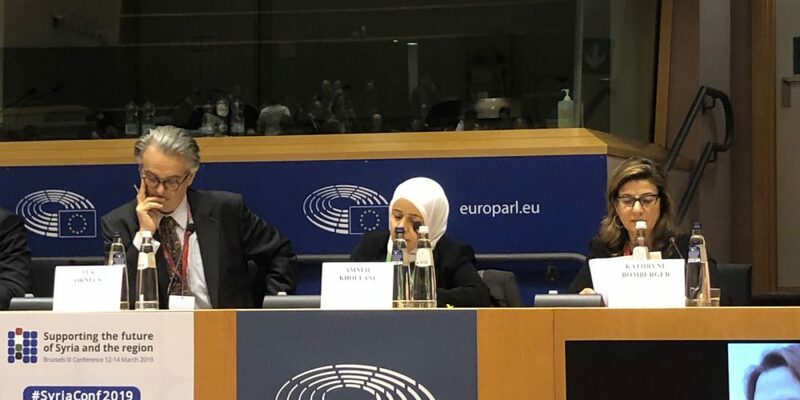 The Hague, 14 March 2019: More than half of those surveyed during an EU Consultation on Syria said the issue of missing persons, including victims of enforced disappearance and detainees, is the most important topic in the field of justice and cohesion, Kathryne Bomberger, Director-General of the International Commission on Missing Persons (ICMP), told participants at a major conference on Syria convened by the European Union in Brussels this week. Ms Bomberger was speaking on a panel on Justice and Social Cohesion at the European Parliament. She noted that the Consultation undertaken by the EU ahead of the conference, had concluded, among other things, that communities in Syria must be made aware of their legal rights and the legal tools they can use to defend their interests, and that accountability must be kept on the political agenda. 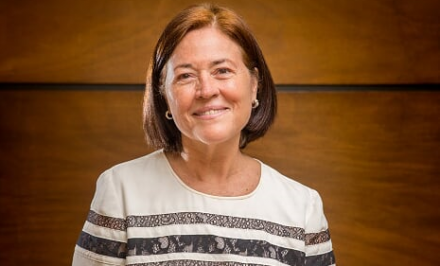 Sarajevo, 7 March 2019: In an interview published today by Buka.com, a news portal in Bosnia and Herzegovina, Kathryne Bomberger, the Director-General of the International Commission on Missing Persons (ICMP), stressed that “accounting for the missing is an investment in peace”, and she highlighted the paramount importance of regional cooperation. “Bringing governments together to address common challenges, and working with them to arrive at solutions together is important for trust building,” Ms Bomberger said. She said that while more than 70 percent of the missing have been accounted for, there are still 7,000 missing in Bosnia and Herzegovina and 12,000 missing across the region, so “the effort to account for the missing must be sustained”. The Hague, 6 March 2018: Regional cooperation and a sustained commitment by governments to move forward with their respective missing persons strategies are key to finding those who are still missing from the conflict in the former Yugoslavia, Kathryne Bomberger, the Director-General of the International Commission on Missing Persons (ICMP), wrote in an article that appeared in Balkan Insight today. Ms Bomberger stressed that while 28,000 people have been accounted for, 12,000 are still missing, and she commended the progress that is being made to develop and implement multilateral cooperation, highlighting as “a significant step” the Joint Declaration signed in London in June 2018 by heads of government from the region, renewing their commitment to cooperate in the effort to account for those who are still missing. 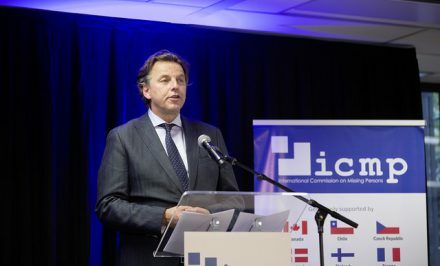 The Hague 5 March 2019: The International Commission on Missing Persons (ICMP) is pleased to announce that former Foreign Minister of El Salvador María Eugenia Brizuela de Ávila and former Foreign Minister of the Kingdom of the Netherlands Bert Koenders will join ICMP’s Board of Commissioners. ICMP Commissioners are actively involved in addressing the global challenge of missing persons and represent ICMP at the highest diplomatic and governmental levels worldwide.